Since 1987, New Jersey Future has fostered vibrant cities and towns across the state. 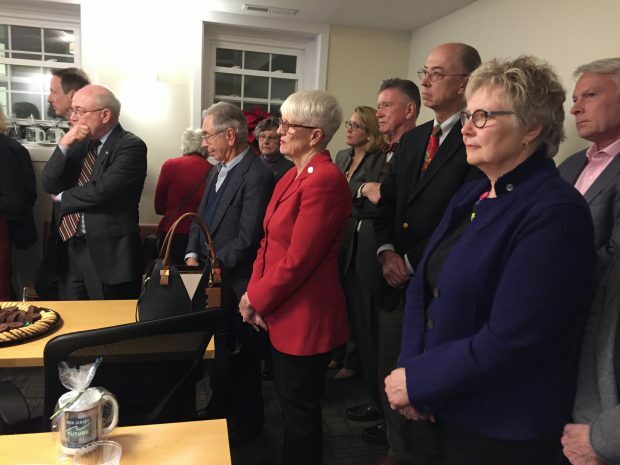 The organization has a rich history of promoting smart growth through policy development, coalition-building, advocacy and hands-on technical assistance. 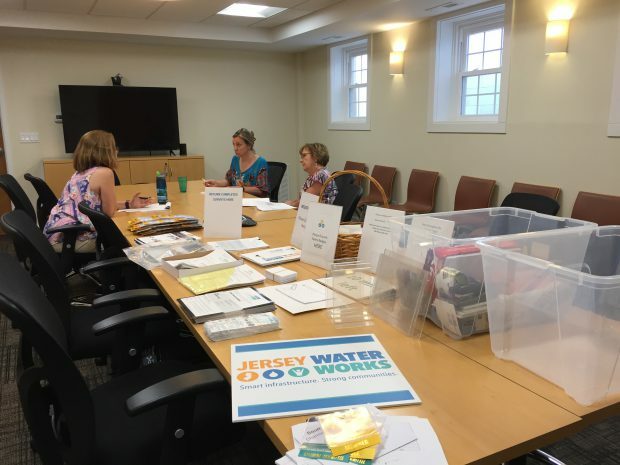 In 2015, as New Jersey Future approached its 30th anniversary, the organization started to consider how it could continue to shape land use solutions most effectively. New Jersey Future had grown considerably since its inception, in terms of both staff and influence. Its office location was actually hindering further expansion, through its limited space and outdated technology. 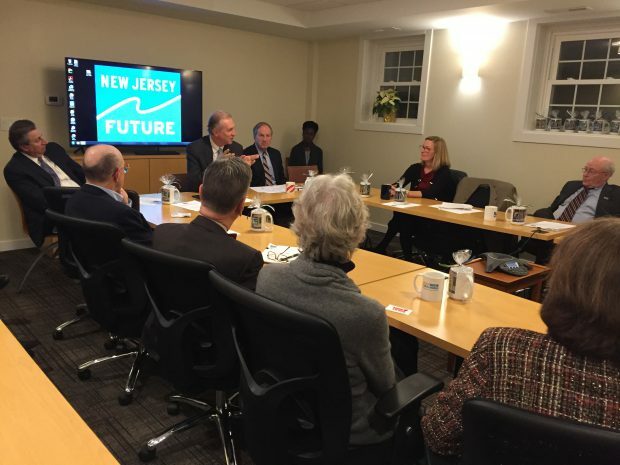 New Jersey Future needed an update: a new space that would allow the organization to broaden its ability meet new and continuing challenges. Expanding the organization’s ability to convene partners and stakeholders by offering a larger, professional civic meeting space with state-of-the-art audio/visual technology. Improving communication and increasing staff productivity by providing more space for all work activities, an efficient layout and room for interns. Improving accessibility to government decision-makers, industry leaders and a broader constituency through its central location, proximity to the train station, ADA accessibility, and bike- and pedestrian-friendly features. 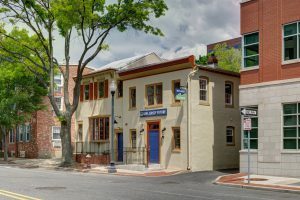 Supporting downtown redevelopment by renovating a vacant historic building in the heart of Trenton’s central business district, across the street from the city’s only hotel. Building assets for the future by raising funds to purchase and renovate this building and cutting per-square-foot office expenses in half. New Jersey Future reached its fundraising milestone thanks to a challenge grant from the Henry and Marilyn Taub Foundation. 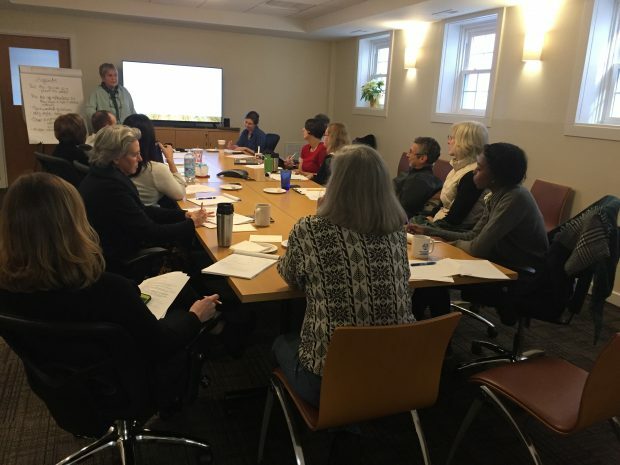 Because of generous support from foundations and corporate and individual donors, New Jersey Future now owns its home and has attained a new level of organizational sustainability. As New Jersey Future celebrates its 30th anniversary year, its new office space allows staff to work with greater efficiency and collaboration. The centerpiece of the office is a large collaborative space, which features the latest videoconferencing technology and whiteboards. This space is regularly used for staff meetings, board meetings, community meetings, training and video conferences. 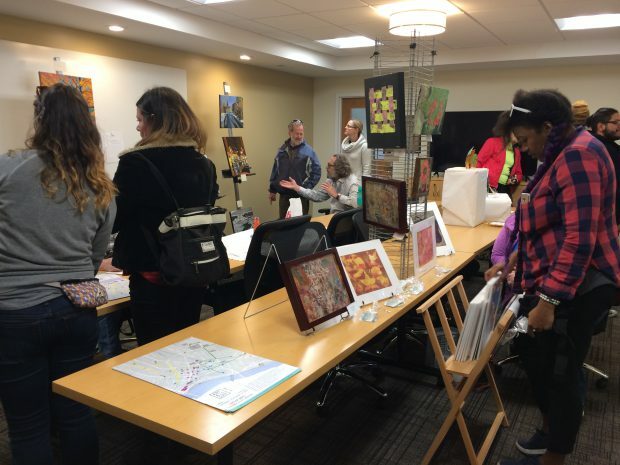 New Jersey Future has opened its collaborative space for public gatherings such as Art All Day in Trenton, a local art event hosted at various locations around the city. New Jersey Future’s office also has two smaller meeting rooms and a “library” room dedicated to housing its various publications. Click through our slideshow to see examples of our space in action. New Jersey Future staff video conference with a colleague. 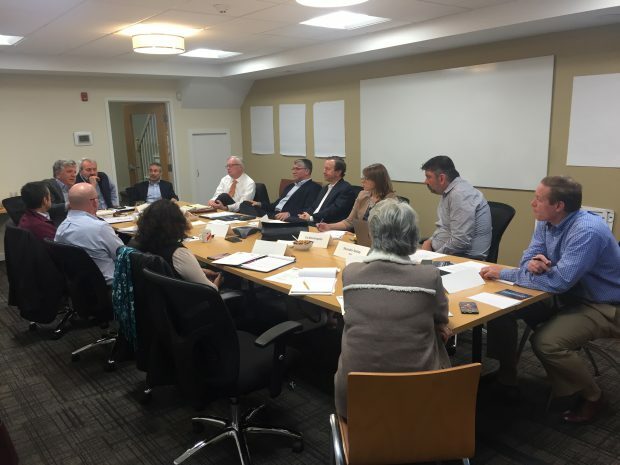 New Jersey Future hosts a board meeting in its collaboration room. 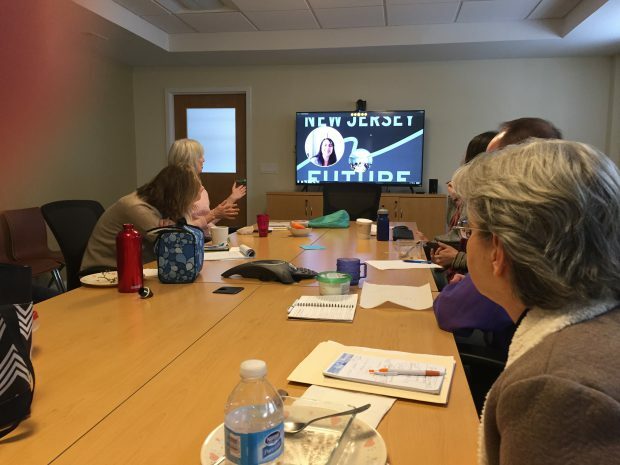 During New Jersey Future's 2016 open house, the screen was used to display a presentation. 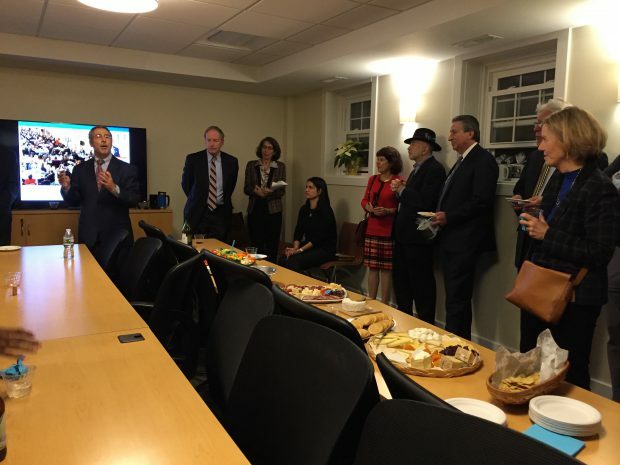 The open house was an opportunity for us to thank supporters of our campaign. 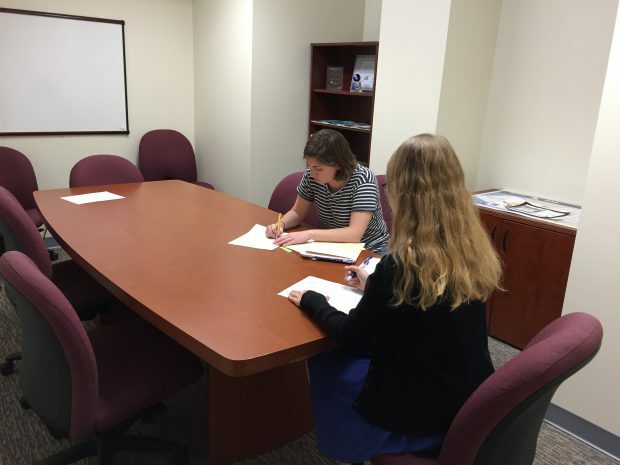 Our new conference room is also perfect for staff training. We now have the opportunity to host visitors and meetings on a regular basis, such as the Developers' Green Infrastructure Review Committee. 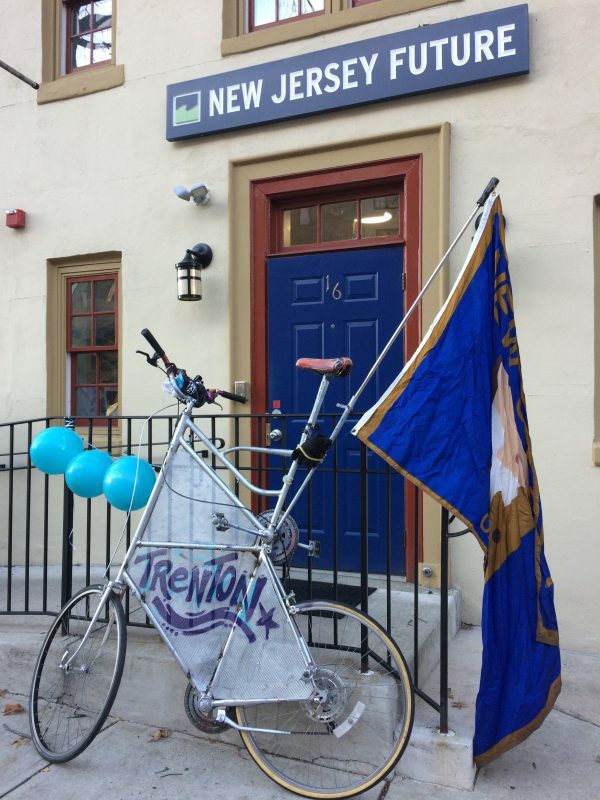 New Jersey Future acted as a host location for Art All Day in Trenton. The long tables in the collaboration room were perfect for creating an art gallery. 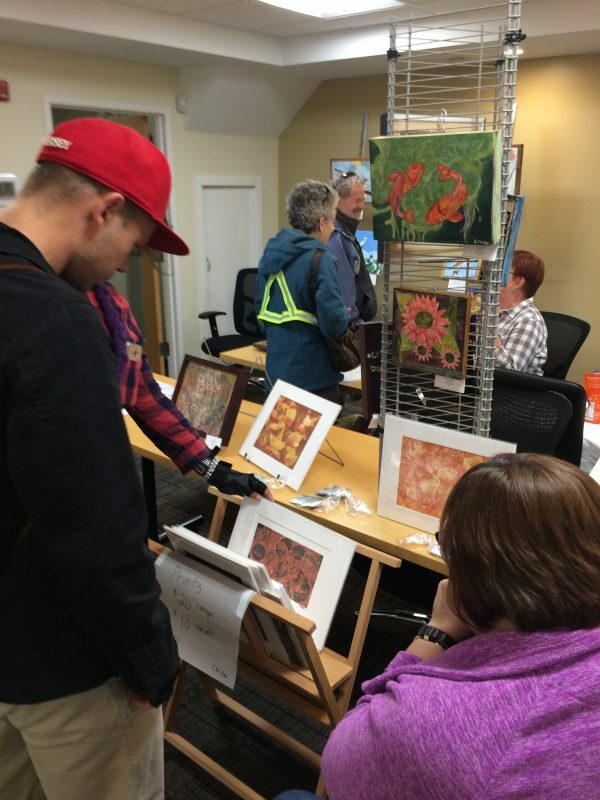 Numerous Trenton residents visited to enjoy the local art at Art All Day. 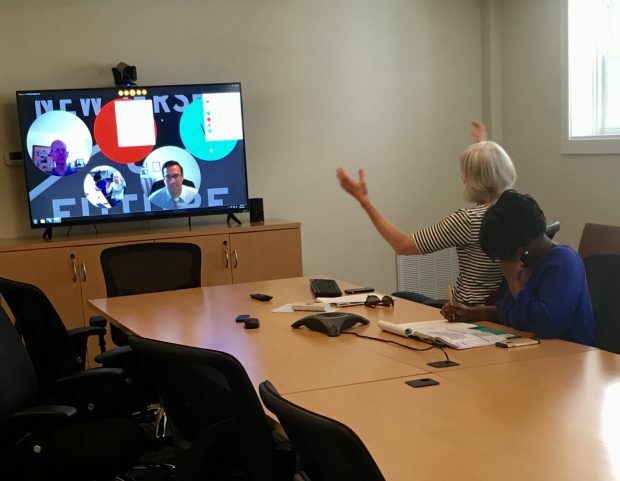 Our new technology allows us to video conference with multiple participants simultaneously. The building also has a conference room for small staff meetings. Staff use the large conference room to prepare for an event. 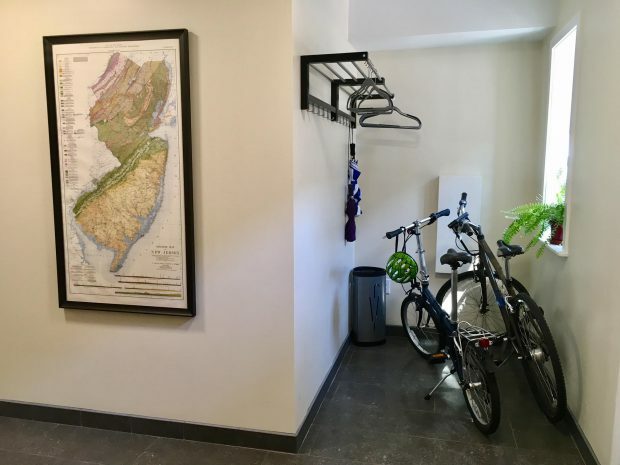 An area for bike storage encourages sustainable transportation options. Read our research reports. Learn about land-use trends and issues that will impact the state’s future. View examples of smart growth. Explore the very best in quality planning, development and redevelopment since 2002. Engage in policy discussions. Sign-up to receive the twice-monthly Future Facts policy e-brief. Find New Jersey Future on Facebook and Twitter. Come to our events. Attend our annual Redevelopment Forum and Smart Growth Awards that bring together decision-makers and thought-leaders. Become a member. Receive discounted tickets and new subscriptions, exclusive invitations and daily industry insights. A donation of at least $50 makes you a New Jersey Future member for one year! See who supports New Jersey Future. Contact Marianne Jann (mjann njfuture org) , 609-393-0008 x101, with questions.